California-based electric car startup Faraday Future might have a strange new ally in its roiling fight with main investor Evergrande: the Trump administration. The Office of the United States Trade Representative (USTR) issued an update on Wednesday to its “Section 301” investigation into China’s alleged practices of intellectual property theft and technology transfer, and Faraday Future was listed among the many examples cited in the refreshed report. The USTR says in the report that Evergrande’s $2 billion pledge to Faraday Future is an “illustrative example” of how the Chinese government “directs and unfairly facilitates the systematic investment in, and acquisition of, US companies and assets by Chinese companies to obtain cutting-edge technologies and intellectual property.” News of the inclusion of Faraday Future was first reported by the South China Morning Post. Faraday Future has made similar claims across the last month, arguing that Evergrande shut off funding to push the EV startup into bankruptcy, making it possible to walk away with the IP, which includes some 400 patents. Access to Faraday Future’s patents, as The Verge first reported in April, was a major component of the investment. “The US government has now taken notice of Evergrande’s conduct toward Faraday,” Brian Timmons, a partner with Quinn Emanuel, who represents Faraday in the dispute with Evergrande, said in a statement. “Faraday is on the brink of producing a revolutionary electric vehicle, and Evergrande’s actions are jeopardizing both the introduction of this new technology in the U.S. and the jobs of more than a thousand American workers.” Representatives for Faraday Future, Evergrande, and the USTR did not immediately respond to requests for comment. Evergrande invested in Faraday Future at the end of 2017, during a time when the EV startup was facing the real threat of running out of cash. The Chinese real estate conglomerate committed $2 billion to Faraday Future, which was to be doled out over the course of three years. The EV startup received the first installment of $800 million by early spring. But by July, basically all of that money was gone. More than $400 million went to getting the company’s California factory ready for production of its luxury SUV by the end of 2018, as well as hiring between 300 and 400 new employees, while $130 million was earmarked for paying back suppliers, recent court documents showed. About $200 million was also directed at bringing production online in China. 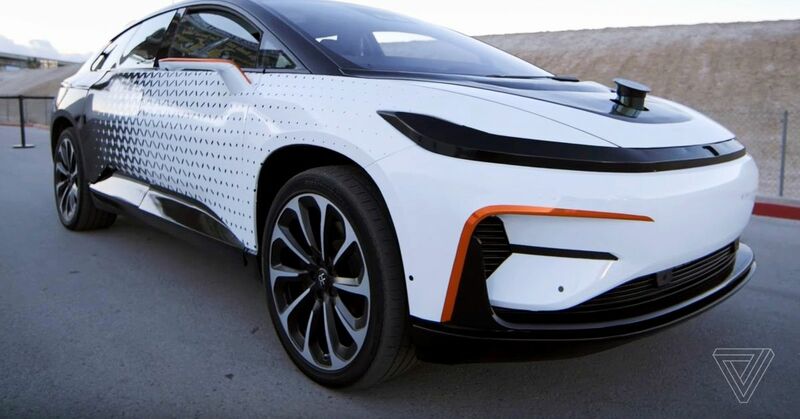 Facing another cash shortage, Faraday Future CEO and founder Jia Yueting — who has been blacklisted in China because of massive debts he racked up at another company he founded, LeEco — asked Evergrande for an advance on the $1.2 billion remaining on the contract. Evergrande initially agreed to let $700 million loose in small installments through the end of the year, and in return was promised that Jia would distance himself from the company, according to recently revealed court documents. While the two sides argued back and forth in private over this, Faraday Future once again started to miss payments to suppliers. In an October filing with the Hong Kong Stock Exchange, Evergrande outed Jia’s plan to break the investment deal, and accused him of “manipulating” the board of directors set up after the investment. The companies continued to trade blows in public, and Faraday Future was awarded some relief: a Hong Kong arbitrator decided in October that the startup could seek new funding. But in the meantime, Faraday Future had to resort to salary cuts, layoffs, and eventually a furlough for hundreds of employees that is still in effect. A co-founder and a number of other significant executives all resigned, and while the startup says it is drawing interest from investors, it only has enough cash in the bank to last through mid-December, The Verge previously reported. China’s cavalier treatment of intellectual property rights has been a touchy subject in the auto industry for years. The government long mandated that any foreign automaker who wanted to make cars inside the country had to partner with a Chinese manufacturer, and could not own more than 50 percent of the joint venture. This helped the government quickly build up knowledge and skill at big state-owned automakers as China transformed from a primarily agrarian society to an industrial one. But foreign car companies — and, now, the Trump administration — often complained about these close relationships and the risk they presented for protecting assets like patents and trade secrets. China recently announced plans to relax some of those joint venture rules. But the new USTR report claims that the CCP is already establishing roadblocks that will incentivize foreign automakers to stay close to Chinese automakers, regardless of the rule change. In the meantime, China’s domestic car industry has boomed in recent years, especially for electric and hybrid vehicles. The country leads the world in EV sales, and nearly 500 new EV startups have cropped up, according to a recent report.